Situated in Tamil Nadu, Mahabalipuram is a pocket of history and culture that attracts hordes of tourists every year. The best place to learn about Dravidian history, the whole town is like an ancient India theme park. Boasting some of the oldest examples of Dravidian architecture, Mahabalipurams monuments have been declared a world heritage site by UNESCO. The beach, set off by the city's historic significance, has its beauty enhanced beyond compare. This resort is set in peaceful surroundings and is comfortably ensconsed amongst the tall trees, the enchanting lake and the lovely hills. 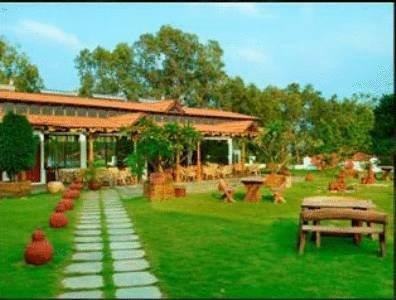 The serene surroundings coupled with light fun activities are sure to have a calming effect on your body,mind and soul. Located on the Pallava Kings Sandy beach, Hotel Sea Breeze is an excellent retreat for those looking for world-class stay and relaxation. 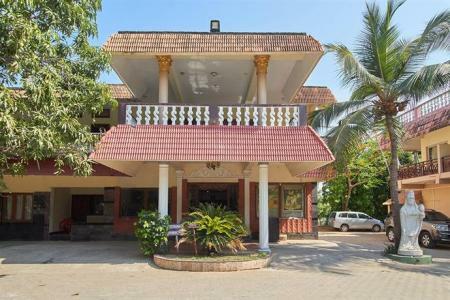 Mamalla Beach Resort, lying within 3 km from Tiger Cave, Bus Station and Shore Temple, features conference hall, Ayurvedic Centre and pool. 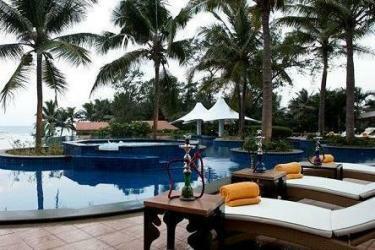 Hidden Treasures is a beautiful dream world on the shore of Mamallapuram. It brings to you a unique experience of sun, sea and sand. A perfect blend of pristine serenity of the shoreline with modern day luxury adds to the spirit of a perfect holiday experience. Breathtaking views of sunrise and sunset under the imposing coconut palms or a leisurely lounge by the poolside create memories for a life time. Pamper yourself at this luxury hotel with its chic, modern rooms. Treat yourself to a spa or a swim in its fabulous outdoor pool! 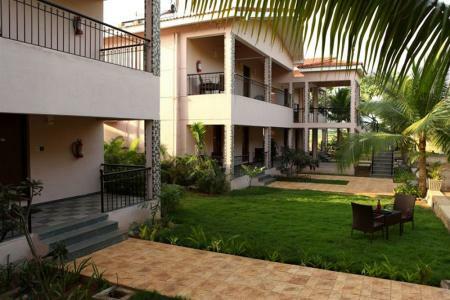 Confluence Banquets and Resort is situated within a distance of 43.3 km from Railway station, promises an elegant stay. The hotel features well-appointed guestrooms. All rooms are furnished with amenities like LCD television, tea/coffee maker, minibar, electronic safe, and essential bathroom amenities. The hotel situated in Mahabalipuram has many tourists places to visit namely Shore Temple (3.5 km), Pancha Rathas (4.3 km), Varaha Cave Temple (2.6 km), Descent of the Ganges (3 km), Tiger Cave (6.6 km) and many more beautiful places to visit within the vicinity. 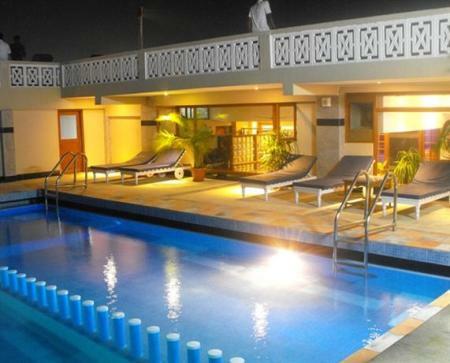 The hotel offers basic amenities like Wi-Fi, doctor on call, concierge, children play area, front desk, wake up call, laundry service, travel assistance, bicycles on hire, shuttle service, parking, railway transfer and airport transfer (chargeable). Backed by a team of skilled professionals, the property ensures that all needs of guests are fulfilled timely. 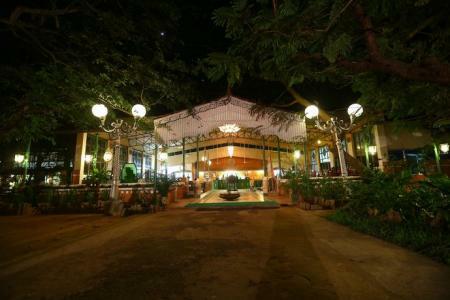 The hotel houses a restaurant wherein guests can enjoy the wide array of delicious cuisines. The on- site bar is a ideal place to relax after a long day, or even catch up with colleagues and socialize over a nice drink. 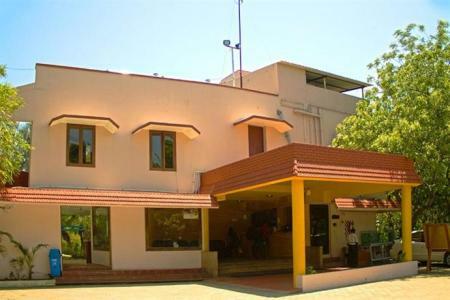 Located 55.9 km away from Chennai International Airport making it convenient for travelers. 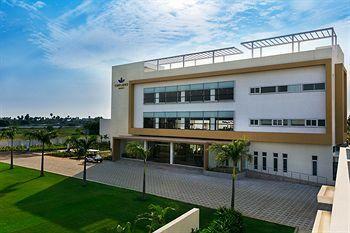 It features a well-equipped board room and banqueting facilities with adequate seating arrangement. Guests can work out at the on-site gymnasium and continue with exercises while travelling. 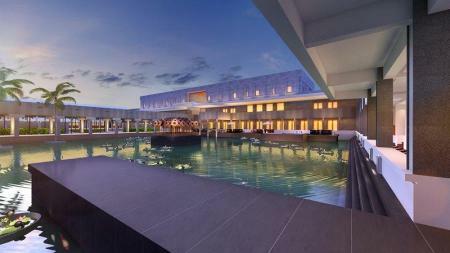 Enjoy staying at the Confluence Banquets and Resort, located at the historical city of Mahabalipuram! Due to the ever growing inflow of tourists into the town, numerous properties have come into the picture that cater to the needs of both high and low budget travellers. 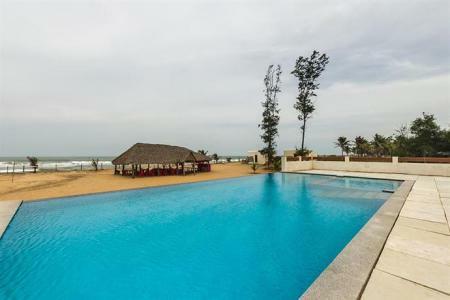 As you approach Mahabalipuram via the ECR, you will find a variety of hotels and resorts such as the Silversands Beach Resort and Mamalla Resort (located opposite one another) which are both idyllic tranquil getaways located on the Pallava beach. 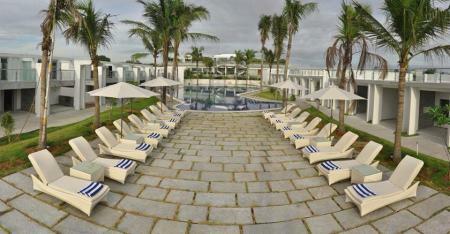 They offer luxurious swimming pools with wide open spaces for you to relax, right beside the sea. 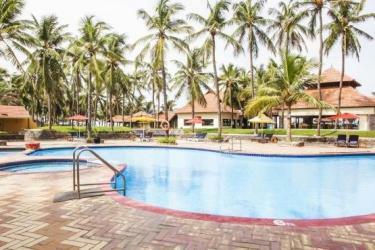 Ideal Beach Resort on the outskirts nestles a private beach where you can bask on the sun kissed sands all day long. 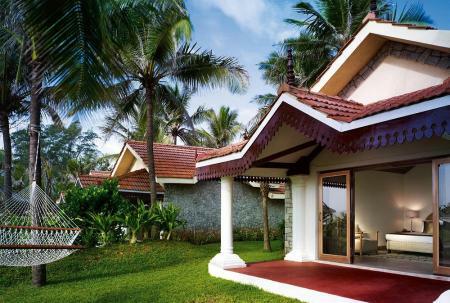 The exotic Fisherman's Cove by Taj (20 minute drive) is built on an old Dutch fort, providing you with stunning oceanic views and world class amenities. Affordability, comfort and luxury have never been used better together, as InterContinental Resort on ECR offers all these in one go, with romantic coastal views and a placid atmosphere. There are plenty of choices to stay within the town with budget getaways such as the not-so-crowded beachside Hotel Sea Breeze which treats you with a relaxing pool area, the lovely Bay Treasure which offers uninterrupted views of the ocean blue ànd a short walk away from the world renowned heritage monument. 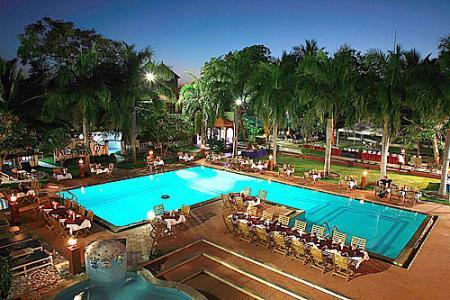 Confluence Banquets and Resorts is another viable option located in the inner vicinity of the town. The wonderful Chariot Beach Resort is situated right in between the Panch Rathas heritage site and the Mahabalipuram beach, and is the perfect location to experience the best of both worlds. Another amazing location to stay at is the affordable Indeco Hotel because of its extremely convenient proximity to the town and sightseeing areas. Right at the entrance of the town is The Grande Bay, known for its good service and great amenities. If you are looking for an extravagant stay in town, the lavishly and impressively designed Radisson Blu Resort proposes easy access to the town and the beach, with all facilities you can possibly hope for! By car: The East Coast Road or the ECR (also the State Highway 49) connects numerous major cities of Tamil Nadu to the beautiful heritage town of Mahabalipuram, which is directly accessible only by road. It is located 60 km from Chennai, a drive of 1-2 hours along the picturesque ECR overlooking the ferocious Bay of Bengal waters. The town is also accessible from Pondicherry in couple of hours via the same road from the opposite south direction. The NH48 links Karnataka's capital city Bangalore (350 km) to Mahabalipuram, through major towns such as Vellore and Kanchipuram. By bus: State and private buses operate from Chennai to Mahabalipuram on a daily basis and it is the most common and pocket friendly mode of transport for anyone looking to visit. By train: The nearest functional railway station is in Chengalpattu, 30 km from the famous beach temple town. You can arrive here at the Chengalpattu railway station in 1 hour by train from Chennai and then continue towards Mahabalipuram via bus or taxi. By air: Chennai International Airport is the nearest major airport, 54 km away. You can take a transit owing to different buses that you need to enquire about before boarding or you can hire a taxi which is a not-so-pocket-friendly option. How do I get around in Mahabalipuram? This jewel of a town has plenty to offer for its visitors, you can get around exploring the relatively small historical town (as the star attractions are close to one another) either by foot or by rickshaw. A more viable and exciting option would be to hire a bicycle or motorbike as they are quite affordable and worthwhile. The UNESCO World Heritage sites here tend to attract local and international tourists all year round. Mahabalipuram is most enjoyable during winter months between October and February, this is the perfect time to go sightseeing and explore the rich history behind the town. The weather during these months is comparatively pleasant and calm as compared to the scorching summer months (March-June) and heavy monsoon months (June-September). The beach haven of the Pallavas during the 7th-9th Century A.D., this scenic town has much more to offer than meets the eye. The temple monument complex here is known for its architectural magnificence, a UNESCO World Heritage Site with intricate stone carvings and majestic beachside temples that take your breath away. The captivating aura of this ancient temple town still resonates to this day. 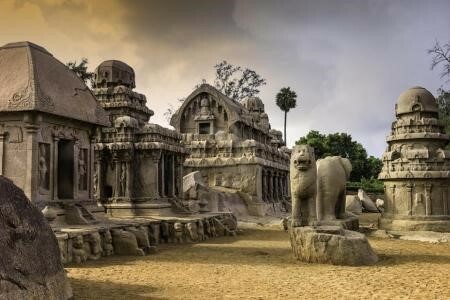 From the giant standstill boulder that seems to defy all laws of physics - Krishna's butterball, to the world's largest open air Bas relief - Arjuna's Penance, Mahabalipuram is a town with a fascinating glimpse into history. The monolithic rock cut temples called Panch Rathas, 8 beautifully carved cave temples and the splendid contrast of white colour of Thirukadalmallai temple are a sight to behold and are definitely worth a visit. The Crocodile Farm present just 15 km away on the way to Chennai is a great place to visit as it nests several species of crocodiles, snakes and turtles. It is a fantastic location for a day outing with family or friends. And obviously, the roaring of the Bay of Bengal is best experienced from the scenic Mahabalipuram beach. You can stroll here for as long as you like and also take surfing classes organised by experienced local instructors. Even better, you can learn stone carving here by traditional sculptors who have been following their cultural lineage for hundreds of years! As a coastal town, seafood delicacies offered in almost every other restaurant here are a must try because of its tangy flavoursome freshness. Also, food stalls swarm the promenades and city center during the days, so there are plenty of options for a hungry traveller. Mahabalipuram is also famous for its fresh coconuts which can be easily found without much struggle. If coconuts aren't enough to quench your thirst, then buy yourself some nice beer (served at most restaurants) and treat yourself to views of the beach.